How are controversial ideas handled by modern science? A common charge leveled against science (generally by those who are unhappy with its conclusions) is that the only way to get funding or continue your research is by going along with the current theories and not rocking the boat. For those who spend their careers in science, this is laughable—it is those who successfully rock the boat who are the most successful. In this article, we are going to look at a manuscript that purports to overturn hundreds of years of accepted ideas about gravity, and use it as an illustration of how controversial ideas are dealt with in modern physics. It was Isaac Newton who first proposed a universal law of gravitation, where every massive body in the universe was attracted to every other one. This simple law proved extremely powerful, able to explain the orbits of planets and the reason the apocryphal apple fell on his head. However, Newton was never able to explain why gravity worked or what exactly it was. Three hundred plus years later, Albert Einstein was able to offer a more complete description of gravity—one where Newton’s laws are a limited case. 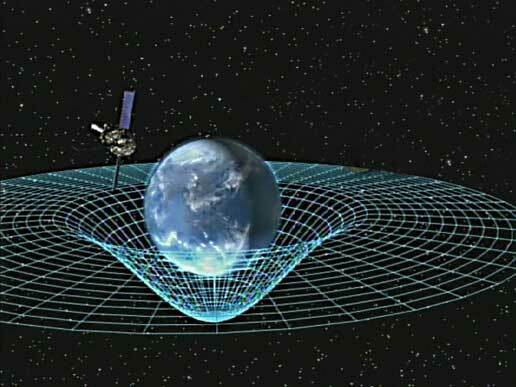 According to Einstein, gravity was due to the warpage of spacetime by mass and energy; all objects followed straight paths, just on curved spaces. Before we dive into this seemingly unphysical statement, we need to take a detour to discuss some of the ideas from modern physics that form the basis of Dr. Verlinde’s argument: black hole thermodynamics and the holographic principle. Black hole thermodynamics was worked on extensively in the 1970s. It’s needed in order to reconcile the second law of thermodynamics with the idea of a black hole event horizon. To do this, one has to admit that a black hole must have finite, non-zero entropy. If a black hole has zero entropy, then throwing mass into a black hole would violate the second law of thermodynamics, as the sum total entropy of the universe would decrease by the amount of entropy contained within the mass. This also demands that, oddly, black holes cannot be purely black. If something has a non-zero entropy, then it must also have a non-zero temperature. This temperature is the temperature of the Hawking radiation that is given off due to the quantum nature of the black hole itself. A simple way to imagine Hawking radiation involves considering the particle-antiparticle pairs that spontaneously form the vacuum fluctuations. If one forms near the event horizon, it can fall in, never to be seen again, while its mate flies off into the Universe. To a faraway observer, the black hole just emitted a particle (even trippier is the fact that the particle that fell in must have had negative energy, and decreased the total energy of the black hole—something that could cause the black hole to evaporate over time). Leading us further down the (black) rabbit hole are other results of Stephen Hawking’s calculations, which fixed the maximum entropy that a black hole can have. Since that’s a (quasi) measurement of how much information can be stored by an object, a black hole represents the most informationally dense object possible in the Universe. Surprisingly, the maximum entropy a black hole can obtain is exactly Planck’s constant times one quarter of its area in Planck lengths—not its volume, an important distinction. This result implies that every bit of information the black hole can contain (as an Infosphere) is described entirely by its surface, the event horizon. An extension to this line of surface-focused thinking came in the 1990s, when Gerardus ‘t Hooft, and later Leonard Susskind, postulated that the universe is a form of a hologram, a lower dimensional object that looks like a higher dimensional one (think of the two dimensional hologram images that look three dimensional). The holographic principle says that all space and time contained within an N dimensional body is emergent and can be described by a completely separate set of physics on the N-1 dimensional surface of the body. This is one of those mind-bending ideas that float around and form the basis of a not-insignificant portion of modern physics, so I’ll try and give a simple example. Imagine the entire Universe is a beach ball, and all physics within it—space, time, matter, energy—is described by the ideal gas law. The holographic principle then states that the entirety of the Universe (the inside of the beach ball) can also be described by a different set of equations that describe only the surface of the ball, the vinyl part itself; as an example, maybe a set of equations linking the surface tension to the area of the ball. There’s a corollary to this (one that will be heavily relied on in a minute): all the information about the Universe (in this case the beach ball) is encoded on the two dimensional surface of the ball. Another analogy I have seen used to describe this is that of a soup can: everything you could know about what is in the can of soup is printed on its label. Tying this back to the black holes we started with: the holographic principle suggests that everything we could want to know about the interior of a black hole is encoded in some manner on the surface of its event horizon. Since we can never recover information from beyond the veil of the event horizon, everything that can be known about a black hole, and everything that has ever fallen into it, must be represented on the event horizon itself. In fact, in some variants of string theory, this concept resolves the black hole information paradox. This idea may sound completely abstract (and it is), but it has turned out to be remarkably useful, because it has produced what is called the AdS/CFT correspondence. This uses the holographic principle to show a direct correspondence between problems in what is known as Anti-deSitter space, where gravity is present (a cosmological way of describing the Universe) and problems in conformational field theory in a lower dimensional space where gravity does not exist (used heavily in quantum mechanics). Problems not solvable in one regime (cosmology, the AdS portion) have an equivalent problem that may be trivially solvable in the other (quantum field theory, the CFT portion). Dr. Verlinde’s proposition is not entirely unique. Others have argued that gravity, instead of being a fundamental force of the Universe, is instead an emergent phenomenon. A good deal of this thinking comes from the fact that the equations that describe gravity (in the Newtonian limit, at least) are mathematically similar to those that describe other emergent phenomena, such as fluid mechanics or thermodynamics. Where Dr. Verlinde goes the next step forward is by arguing for a definite mechanism behind gravity: differences in entropy. In his freely available manuscript, entitled “On the Origin of Gravity and the Laws of Newton,”—the title seemingly paying homage to Einstein’s famous paper whereby special relativity was laid out—Verlinde sets out his case for why gravity is, as he terms it, an “entropic force.” The manuscript uses a combination of the holographic principle and black hole thermodynamics to (re)derive the basic equations of motion that Newton presented over 400 years prior. Verlinde makes extensive use of the holographic principle in his derivations. He works with a thought experiment that assumes one has a holographic screen—one where all the information about what is contained inside of it is encoded as bits on its surface—and asks how it would interact with matter or energy that is being held just outside of it. To show how Newton’s equations of universal gravitation are derived, Verlinde begins with the difference in entropy between a mass M and a spherical holographic screen with entropy S—the information encoded on the screen would describe the emergent space inside, which would be “viewed” as equivalent to a mass M at its center. The attractive force between the the mass and the screen—what we would commonly call gravity—becomes, as Verlinde describes it, an entropic force due to the different informational densities between the two regions. With such a description, extending the idea further becomes feasible. The entropic potential previously identified is shown to follow the common Poisson equation that describes the distribution of matter about a system. So he concludes that, if temperature and informational density on the holographic screen are chosen properly, then the laws of gravity fall out of this theory in a straightforward fashion. The paper is clearly unconventional, but it provides a compelling argument, and backs it up with actual work. Despite the highly controversial ideas it puts forth and the fact that it has not gone through peer review, it has caused some people in the scientific community to sit up and take notice. Clearly, one paper making extraordinary claims will not be taken as fact until others can replicate the work, or in the case of a theoretical paper such as this, verify it with experimental evidence. A paper published in a recent edition of Physical Review D has attempted to do just that. Dr. Archil Kobakhidze, a research fellow in theoretical particle physics at the University of Melbourne, points to recent results that may undermine Verlinde’s ideas. Kobakhidze acknowledges that Verlinde’s work successfully reproduces gravity on the Newtonian scale, and possibly in the more general relativistic sense, but it must also work at the quantum level as well, or it’s not going to change modern physics. Kobakhidze attempts to apply Verlinde’s ideas to see if they are in agreement with the results fromexperiments on ultra-cold neutrons falling in the Earth’s gravitational field. Solving the conventional quantum mechanical equations that describe this system give results that are in good agreement with the experiment. Verlinde’s paper does not fully explain how to work with microscopic systems in his modified view of gravity, but according to Kobakhidze, enough ideas are present to work it out as homework. Kobakhidze uses Verlinde’s approach to re-derive the wave equation that will describe the energy levels of neutrons falling in Earth’s gravitational well. What he finds is that, in contrast to the more conventional equation, there are two extra terms now present. One would appear to account for the relativistic rest energy of the neutron; the other is a form of an extreme suppression of certain parts of the neutron’s wavefunction. Both of these additions result in problems for Verlinde’s theory. This is how science works. Ideas are proposed, they are backed up, they are shot down. Over time, it would not surprise me to see Verlinde defend his work. Perhaps Kobakhidze’s derivation and its extension to the microscopic case is incorrect. Perhaps Verlinde will revisit his original work to revise how microscopic cases should be handled. Whatever happens, science will move on; time, further arguments, and experiments will be the ultimate arbiter of which drastically different view of reality is correct.